The show This Is Us wrapped up last Tuesday and, though I meant to post this sooner, life got in the way. That’s okay, because I’m assuming some of you are still finishing it up or thinking about binge watching it on demand. If you fall in one of those categories and haven’t watched season one of This Is Us and you plan to, this is your spoiler alert: stop here! Bookmark this page for later and come back once you’ve watched. 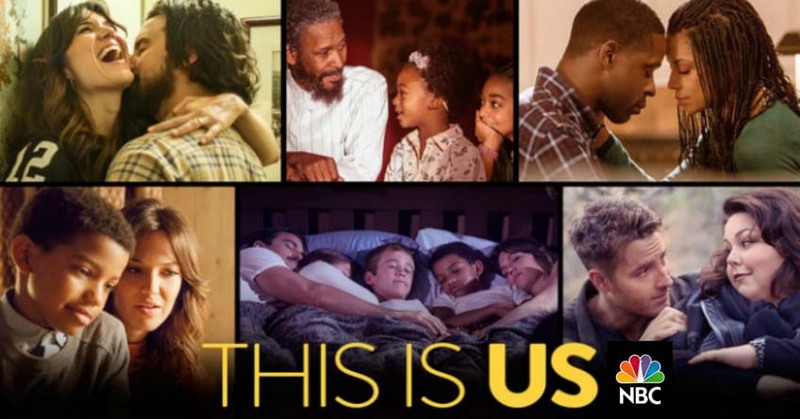 Today we are talking about grief in This Is Us: lots of stuff we loved and a few things we didn’t. We talked about the first half of season one in a podcast, which you can check out here. We aren’t going to rehash the first half of the season here, so you may want to check out the podcast if you missed it. The second half of the season continued the grief themes, and that seemed to warrant a post for some further discussion. So, here goes: Nine things we loved and a few things we didn’t about grief in This Is Us. 1. Continuing Bonds: it’s a thing and it’s totally normal. In the first half of the season we saw evidence of continuing bonds in Kate’s Sunday football ritual and in the family’s Thanksgiving traditions. In the second half of the season we saw it Randall looking for ways to continue bonds with his biological father, William. Randall struggles to figure out how he will keep his dad’s legacy and his connection to his father going once his dad is gone. The writers left us with a bit of a cliffhanger when Randall decides to quit his job, inspired by his father’s advice to slow down and enjoy life. This leads right into the next thing This Is Us gets right: grief can change your priorities, for better or worse! 2. Grief can change your priorities, for better or worse. We don’t know yet how quitting his job will impact a self-admittedly Type A guy like Randall, but one of the reasons this impulsive act doesn’t feel outside the realm of possibility is because so many grievers have been there. You may not have actually quit your job, but you sure may have thought about it. Even if William hadn’t told Randall to roll the windows down and turn the music up, grief has a funny way of causing people to look at life through a new lens. Things that seemed reeeeeally important before don’t seem so important. Risks that didn’t seem worth taking seem worth it. This one will be interesting to see play out in season two. 3. It’s important to talk to kids about death when someone is dying, and adults often won’t agree on when and how to do that. While watching This is Us, I was really worried that Randall’s daughters weren’t being prepared for the day when William’s illness got worse. Randall and Beth’s disagreements about when and how to communicate with their daughters about this seemed to mirror many real-life conversations I have had with family members about when and how to talk to kids about the realities of a loved one’s illness. 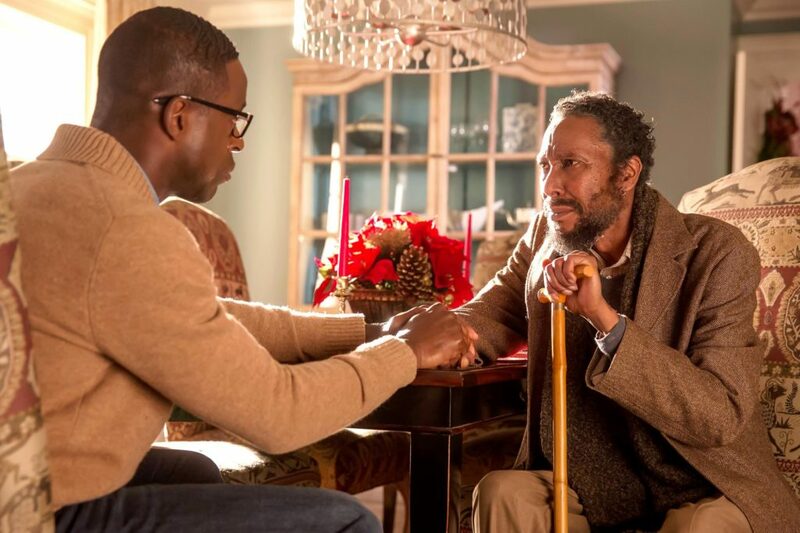 There is no easy answer about exactly the right way and time to have these conversations, but This Is Us highlights the fact that they need to happen and that they are not one-time conversations, rather ongoing dialogues about illness, death, and grief. Unfortunately, just as in the show, families don’t always agree on those conversations. Right? Many of you commented about this when I asked on social media. Yes, it may have been a little bit Hollywood, but who doesn’t wish they could have gotten some road trip time together with their loved one before being forced to say goodbye. Sometimes a show deserves a shout out not for being totally realistic, but for giving us what we want or wish we could have had in our own lives. 4. Denial that someone is actually going to die . . . it happens. 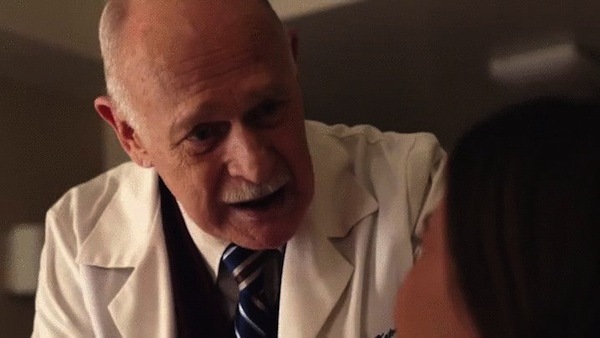 The moment in the hospital when Randall suggests his dad still has a few months to live and the doctor explains his dad is never leaving the hospital – let’s talk about it. If you don’t know loss and grief, this may have felt a very unrealistic divide: how could Randall have such a distorted idea of his dad’s condition? On the one had you could argue it was the Hollywood-style moment when his dad was healthy enough to jam with the band the night before this conversation with the doctor. On the other hand, we could argue it is a not-totally-inaccurate portrayal of how denial can look. Sometimes family members struggle to accept the reality of a disease and how it is progressing. You think you have more time than you do, no matter the signs and what people are telling you. 5. Talking about losing someone is hard, even with someone you love. If you haven’t known grief it could be easy to find Kate’s unwillingness to talk about her dad’s death with Toby, someone she loves and is going to marry, to be weird. If you have known grief, you may know that for some people it is a door they have to be very ready to open. We can tell watching the show that Kate wants, in theory, to be able to open up to Toby. In practice, that isn’t always easy. This becomes even more ‘real’ when we learn that, to this day, Kate feels guilty for believing that she caused her dad’s death (another cliff-hanger we’ll all have to wait until season two to understand). 6. Stillbirth grief is devastating, and not just for few weeks or months. This Is Us has gotten a lot of press for tackling stillbirth, something we don’t see on TV a lot. As we discussed in the podcast, I appreciated this fact in and of itself. What I appreciated even more, though, was that this loss wasn’t depicted as 5 minutes of one episode, rather they returned to it throughout the season to show the stillbirth’s impact on the lives of the characters. 7. For kids (even adult kids), a parent remarrying someone they were friends with before their spouse died is . . . complicated. This is something we don’t know the details and circumstances of yet, but it is clear that the kids are not all that comfortable with their mom having married Miguel, their dad’s best friend, after their dad’s death. Even without the circumstances known, it is easy to imagine that this may not have been an easy thing to accept, even for adult kids. For me it has felt a little hard to fit Miguel in without the back story of their relationship, but I did appreciate that near the end of the season we were finally able to see Miguel’s own grief around losing his best friend in his conversation with Kevin. I don’t know about you, but this gave me a new sympathy for Miguel that I hadn’t felt earlier in the season. 8. Grief evolves, but it impacts us in different ways forever. In the episode of William’s death, we learned his whole story. The show, IMHO, built an amazing picture of William’s relationship with his mom through flashbacks in just one episode. What was incredibly powerful was seeing the impact his mom’s death had on his life, but also the impact of their continued bond up until the day of William’s own death. When William said that the two most important people in his life were the person with him at the beginning and the person with him in the end, he captured the reality that we don’t “move on” and close the door after people have died. Rather, we carry them with us throughout our own lives. 1. People don’t always (or often) snap out of grief the way Dr. K does. In the second half of the season we learn more about Dr. K’s back story, seeing the depth of his grief after his wife’s death. Though I appreciated so much about his struggle and the conflict with his son, I did struggle a little bit with the portrayal of “snapping out of it”. Yes, we can all make conscious and deliberate decisions to try to move forward or get “unstuck”, but even after conscious decisions like that, one rarely goes from the edge to the grief cliff to the sunny side of the street. I get it, its Hollywood, they had one episode to paint a picture. But it wasn’t exactly helpful to give the impression that one can snap out of grief or depression overnight if one so chooses. 2. William’s death scene was perfect, we cried rivers. Sadly, death usually isn’t perfect. This grievance isn’t too far off from a Hollywood grievance we have shared before: that they make death look idyllic. William was doing great the night before, jamming with the band. The next day he was in a hospital bed, but comfortable, alert, oriented and accepting. He and Randall were able to have their moment, he had said goodbye to other family. It was the way many of us wish death could be, but that many of us are not lucky enough to actually experience. Seeing portrayals like this time after time can contribute to people feeling slighted that they didn’t have the Hollywood ending they hoped for. 3. Messing with our emotions around Jack’s death in the finale wasn’t nice. In fact, it was a wee bit emotionally manipulative. This isn’t so much a grievance about how This Is Us handled grief, so much as a grievance about how they handled our emotions. I am not one of those people who is mad we never found out how Jack died this season. I am one of those people who is annoyed they manipulated our emotions by leading us to believe he was going to die in a drunk driving accident. It is one thing to leave us wondering, it is another to ramp up our emotions just because. This Is Us is enough of an emotional roller coaster – this just felt like an unnecessary reminder of the show’s emotional grip. Who knows what season two will bring, but in the meantime, we would love to know your feelings. What did you love and what did you not love about This Is Us? Leave a comment! 14 responses on "8 Things “This Is Us” Gets Right About Grief'"
I still miss him every minute of every day, even tho I am battling the son to execute his estate. I have so many unanswered questions surrounding his passing . I still cry first thing every morning, and after spending hours each week cleaning out his home, which we shared. My house was on the market, but fortunately I was able to go back to it, as my family is closer, and I could never continue my life in that big house without him. My friends and family seem to think I should be “over it” and moving on by now but I still feel so desperately alone not being able to feel his arms around me, or chat long hours into the night. I’m responding to Kay, although it is over a year since her post and I don’t know if anyone will see mine. However, I can totally identify with her emotions and with what she is saying. My daughter died three months ago and although I have, like most people, lost family and friends, who I have dearly loved, through serious illnesses and accidents. Although feeling at times that my heart was broken, the grief that I am feeling after losing my daughter cannot be in any way compared to the grief I have experienced before. I could not in my worst nightmares have imagined that the grief I am carrying with me now could even exist. I have to join in here. I have lost both my parents, two siblings, was divorced once and lost my 2nd husband who was the love of my life when I woke up next to him and found he had died of a heart attack in his sleep. It was nothing compared to losing my 19 year old son and more recently my 33 year old son. Someone once said that our parents are our past, our spouses and siblings are our present, but our children are our future. When you lose a child it is a mental, physical and psychological manifestation. I am not trying to one up anyone, but there are different types of grief and I am empathetic to all of them. Someone described the loss of a child very eloquently. It is like watching your small child or a small child in a store or park and all of a sudden you turn for a second and they are gone. You run looking for them, calling their name. You think you see them and your heart skips a beat and you realized it is not them. There is panic and fear Your heart is in your throat, you are begging God, please no and then there is your child, having wondered off to see a puppy or chase a butterfly or see something in a store. Relief floods over you. When your child dies, that feeling doesn’t go away, you think you see them, you call their name, you beg God, please take me instead. It is your job to protect your child and you have failed at some level. I took the episode with Dr. K differently. I didn’t feel like suddenly he snapped out of grief. Rather I felt him making attempts to live life while taking his love and loss with him. I appreciated that episode so much. It portrayed his emptiness at the loss of his closest person. I felt so many similar things to my own life, like his son saying “it’s been a year already…” while well meaning, it’s so lacking in empathy and understanding. I felt kinshipmin his attempts to continue living life knowing your beloved would want you to. Even when it feels pointless to continue on and trying saps all your energy, you keep trying. Thank you Lori but losing a child who has not had the same opportunities as a parent (like to go to high school, fall in love, have a family and grandchildren) is a little more tragic than someone who has. That is why it is stated that losing a child is the most traumatic thing that can happen to a person and the grief is incomparable to others. I’m sorry for your pain, my heart goes out to you. I do not know the depths of your grief, but I imagine it must be great. Still…on this site we are very careful about comparing one person’s grief to another. We can never really know what another person is experiencing and no one could ever know the extent of another’s pain. When we start to view our own pain in relation to our assumptions about others, we run the risk of making people feel further isolated and misunderstood. In the end, what good does comparing grief do to help either person heal? I so appreciate your response here. What is this need we have that compels us to compare and one-up each other…our accomplishments, our homes, our parenting, our jobs…even our grief? I’ve found myself going there in the wake of my husband’s death, feeling my hard is “worse than hers”, somehow. Can’t we just agree that death and loss are awful realities no one should ever have to go through no matter how it comes? Truly, we were not made for the experience of death and I think that’s why it’s so traumatizing, every time, even though it’s “part of life.” Even when it was expected. We are never ready for it. Let’s be supportive and resist that very human urge we seem to have to compare and believe ourselves the more worst victim. We need each other. Hi, not to be dismissive at all, but losing a parent when you’re an adult is very sad and one needs support and has grief, but it is a mere flicker compared to losing a child suddenly. The death a child, is the most traumatic thing anyone can experience in life. It is a level of grief unlike no other. Kay, hate to tell you, but you sound dismissive. Your article is “spot on”. Having experienced much grief along the path of my 71 years and working with bereaved clients, I am well aware of the old familiar cliches, fears, and beliefs that accompany grief and keep many people hiding from it. In my opinion, “This Is Us” has done a fantastic job addressing many taboos that need to be seen & your article has pushed that door open even further. Thank you. Your recap of the season and the way the grief issues were handled is right on target. My son died three and 1/2 years ago and I’m still dealing with these exact issues. Especially tough for me is talking about it. Your blog has helped me during this time to know that my feelings and emotions are normal and I’m not going crazy. Thank you for helping us as we learn to handle each day as it comes. What I liked about the “This is Us” show is that, it makes us more aware of OUR loved ones not being with US forever. No one wants to think about a loved one dying but reality says eventually we all succumb to something. If we are lucky enough to say goodbye to them, I consider that a blessing as in Randall’s case. But if we lived to be a blessing in other peoples lives like he and Beth did, then we know we did our best by them and we can let them go peacefully. Of course we grieve as we miss their presence, but the love that lasts from the experiences we had with them, lives on in our minds and hearts. Of that we and Randall will be grateful for. There isn’t anything that I didn’t like about the show. I think it brings out feelings we all have to deal with at one time or another, so why not now. Fix the relationships that are broken now, when you still have the chance. How can that not be a good thing?? Wow, as always great information and insight. My older brother died last June unexpectedly at the age of 59. It hit me at my core. Your no. 8 grief evolves, made me cry, not sure why- maybe because its so true and I feel it but have never heard anyone address. Thank you for all of us trying to make our way.